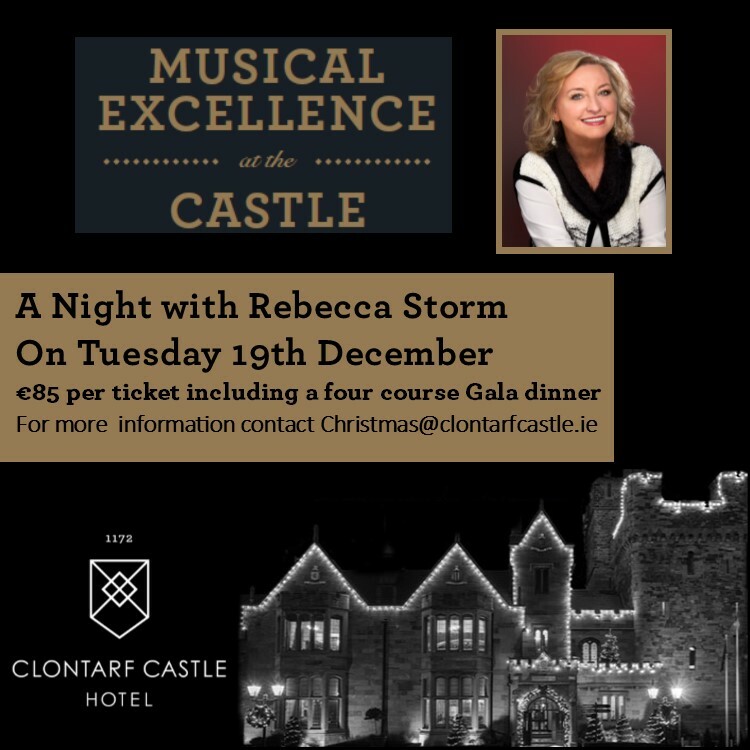 Over the past 30 years Rebecca has established herself as one of the most popular Leading Ladies in Musical Theatre, playing some of the most demanding roles including Eva Peron in ‘Evita’, Fantine in ‘Les Miserables’, Florence in ‘Chess’, Rose in ‘Aspects of Love’, Edith Piaf in ‘Piaf’, Joan of Arc in ‘Jeanne’ and most recently Miss Hannigan in ‘Annie’. 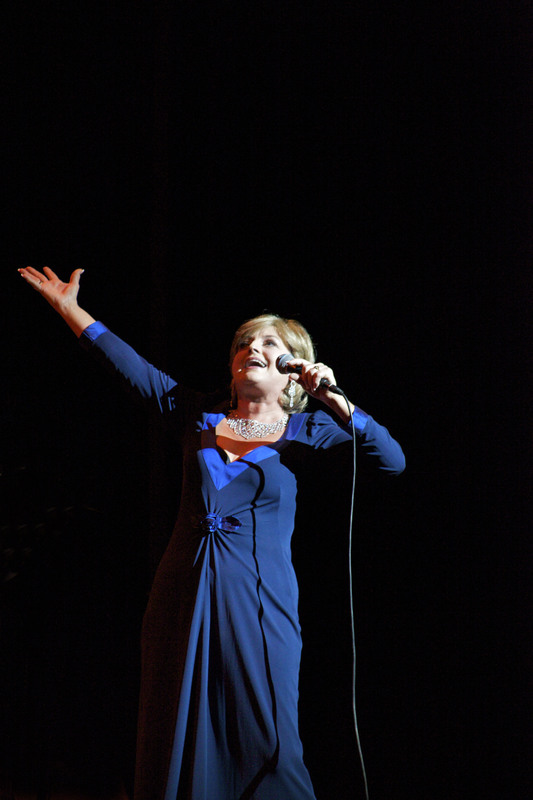 At 23 she auditioned for her first Musical ‘Blood Brothers’ and although a little young to play Mrs. Johnstone – Liverpudlian Catholic mother of seven children – author Willy Russell was so captivated by her voice that he insisted Wardrobe & Make Up went to work to ‘age’ the young actress. 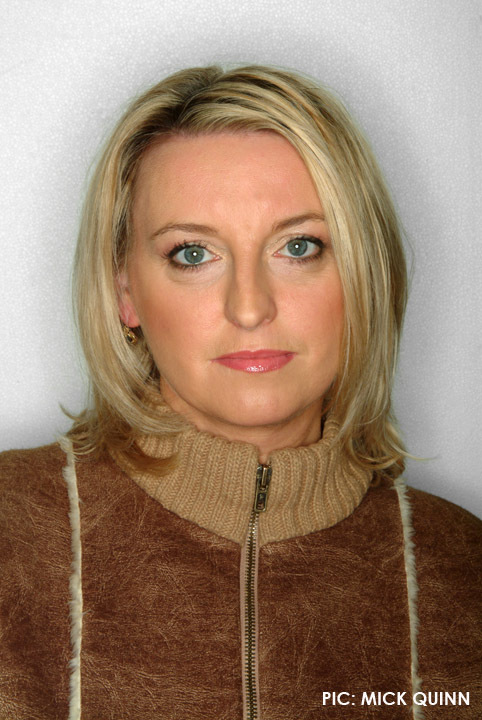 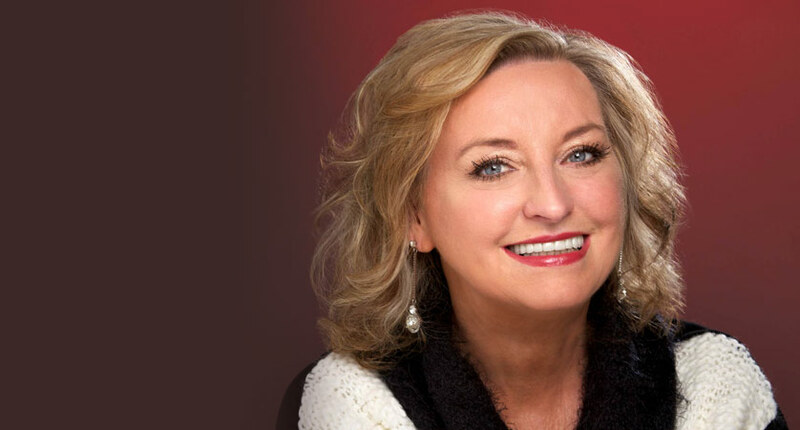 Her portrayal of Mrs. Johnstone has become so popular that she still returns to the role after 27 years. 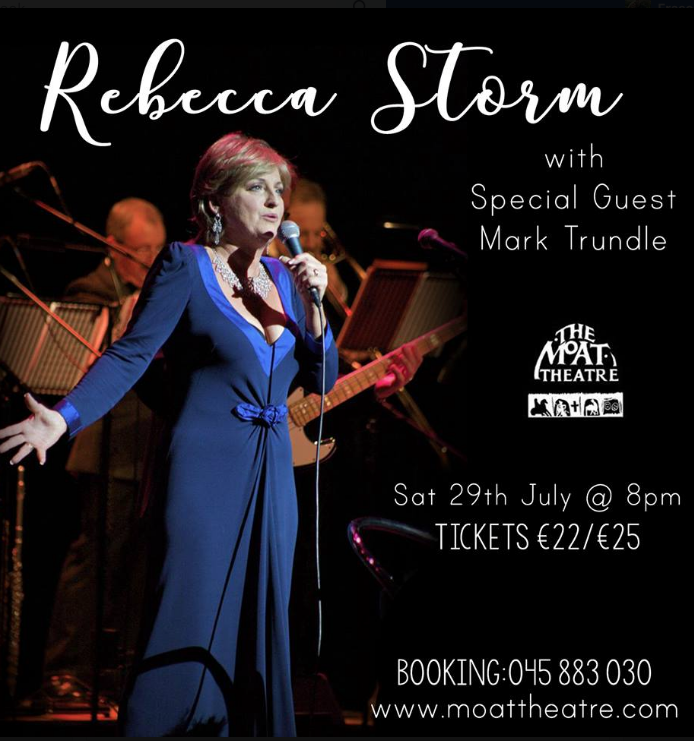 In 1992 Rebecca devised, co-directed and starred in ‘Hollywood Ladies’ – a tribute to her many influences from the Silver Screen – among them Barbra Streisand, Judy Garland, Julie Andrews and Gracie Fields. 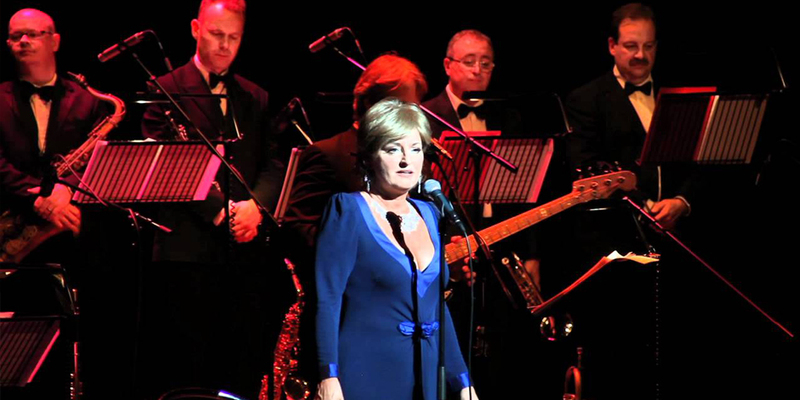 Together with her company of fourteen singers & dancers she was awarded Best Musical Review ’92. 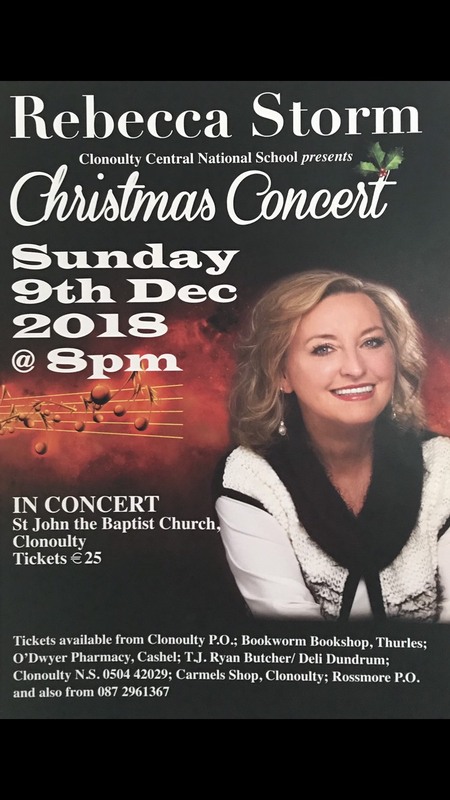 She was very proud to be invited to sing for the King of Norway at his Coronation in 1991 and has performed several times for the British Royal Family. 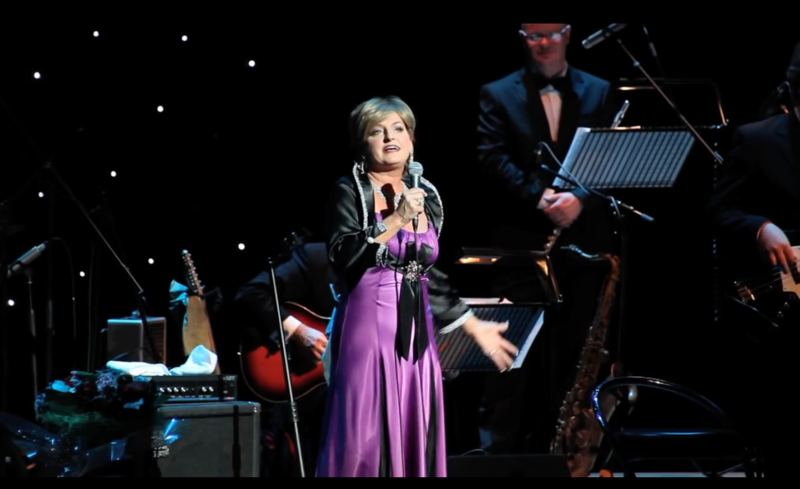 Her recording career began in 1985 with a Top Twenty single ‘Putting On The Show’ which she performed on ‘Top of the Pops’, quickly followed by ‘Mr. 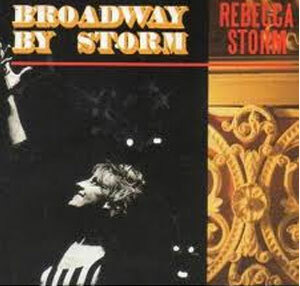 Love’ the soundtrack from the David Putnam film of the same name. 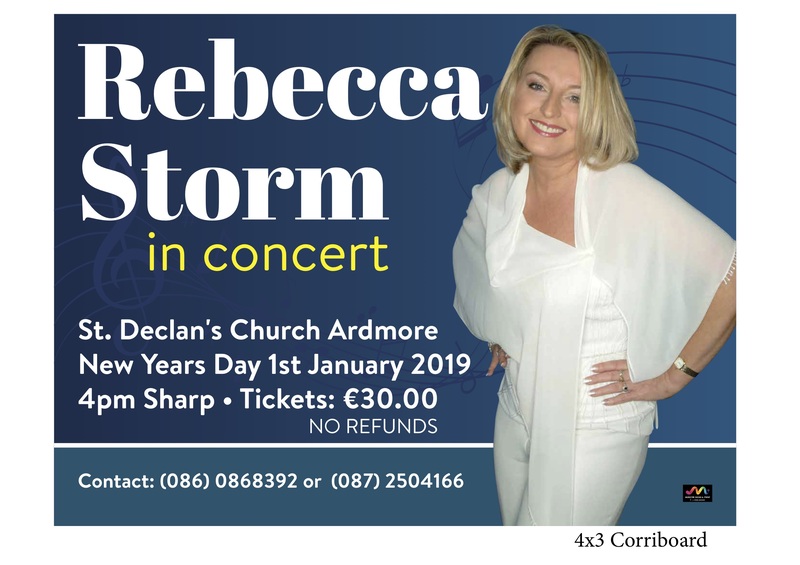 Rebecca has been presented with awards for her albums ‘Ovation’ – a tribute to the music of Andrew Lloyd Webber, ‘Broadway by Storm’ produced by Nigel Warren Green and conducted by the legendary Harry Robinowitz and ‘Ireland by Storm’. 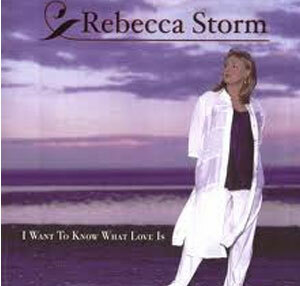 In 2000 she released ‘I Want To Know What Love Is’ – recorded with sixty wonderful musicians and produced by Frank McNamara. 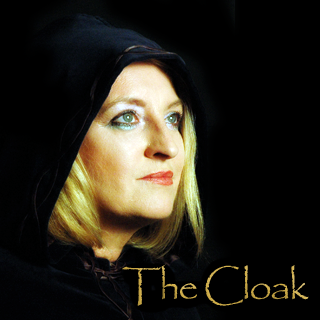 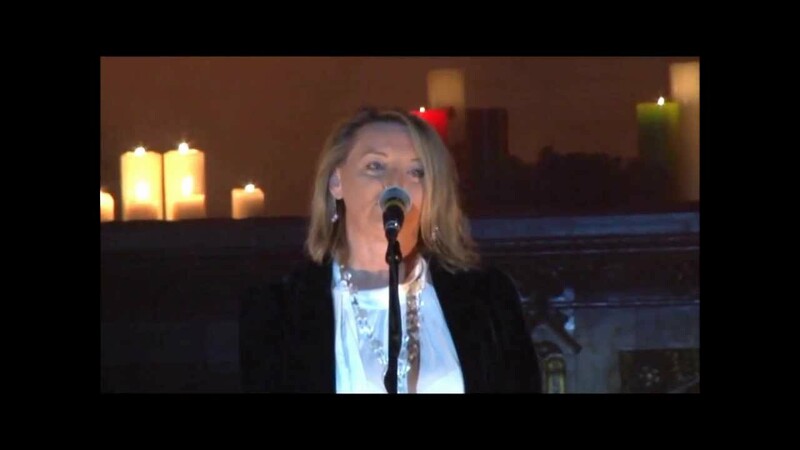 Her CD ‘Celtic and Broadway” was released by Sony Music in 2003 and continues to sell around the world. 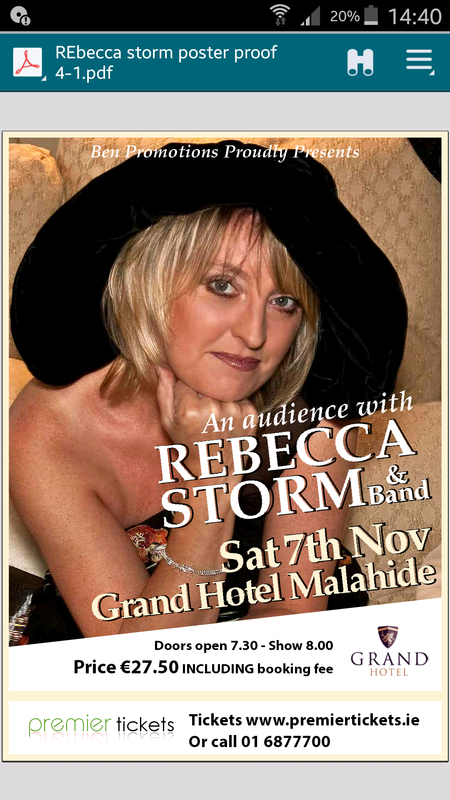 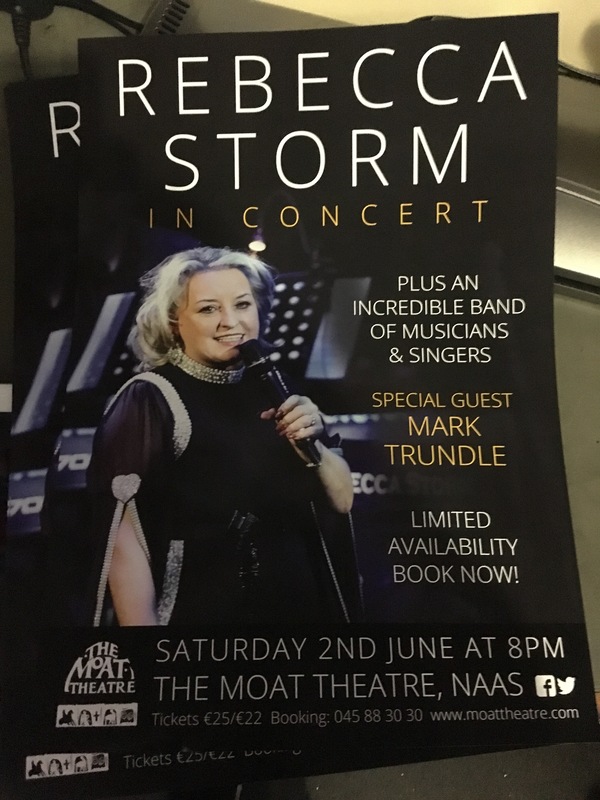 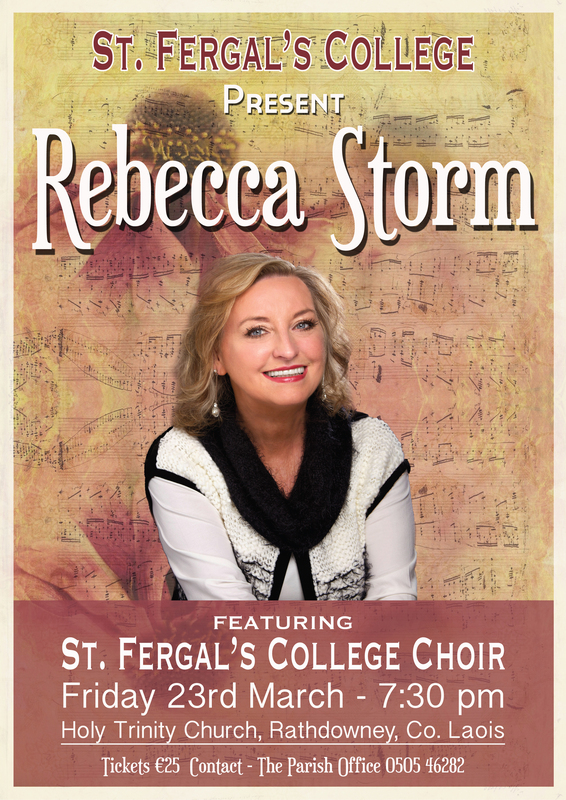 Her latest album ‘The Essential Rebecca Storm’ is a double CD consisting of a live recording of her sell out concert at Dublins’ Grand Canal Theatre and a studio album produced by her husband and Musical Director Kenny Shearer. 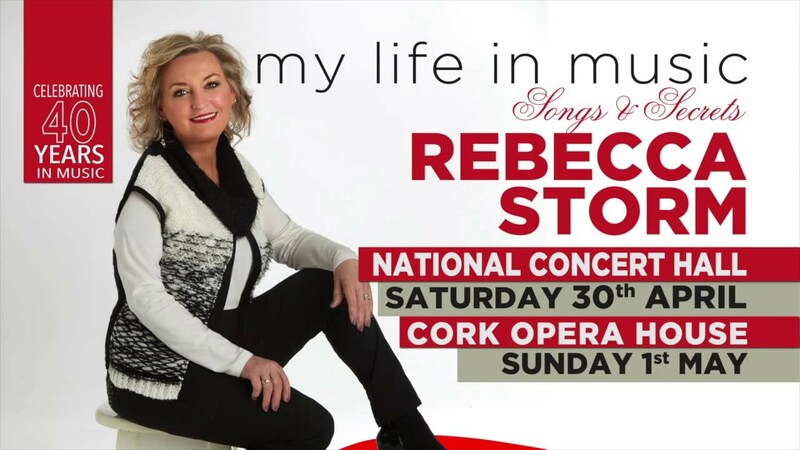 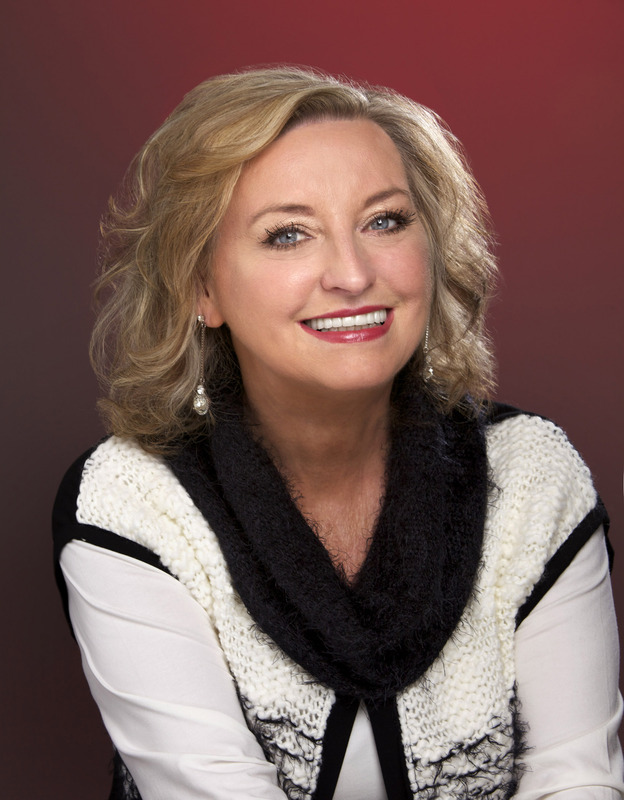 With numerous concerts, radio and TV appearances around the world, Rebecca enjoys a busy and varied career. 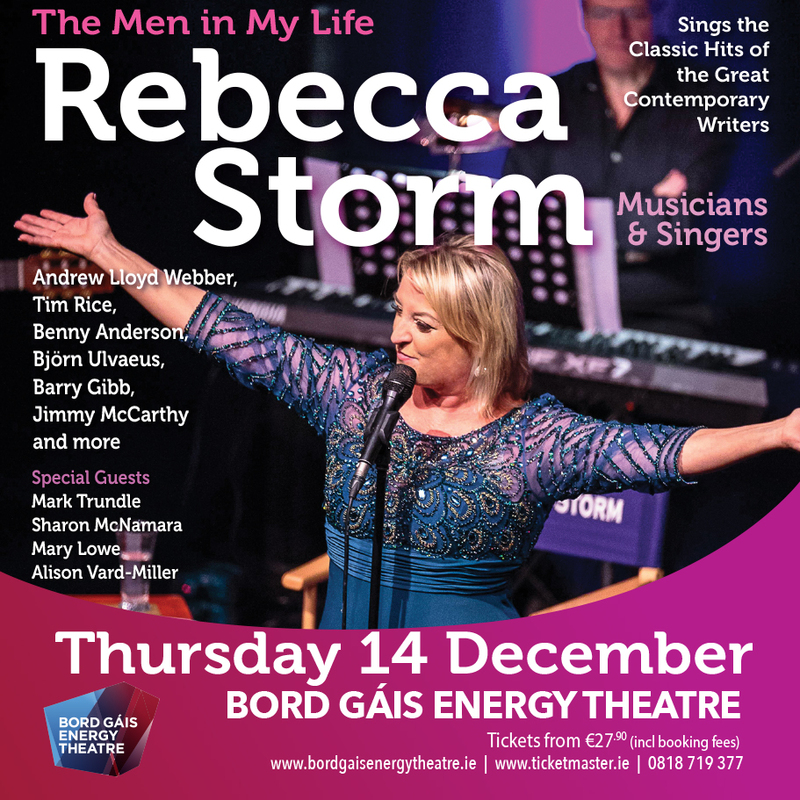 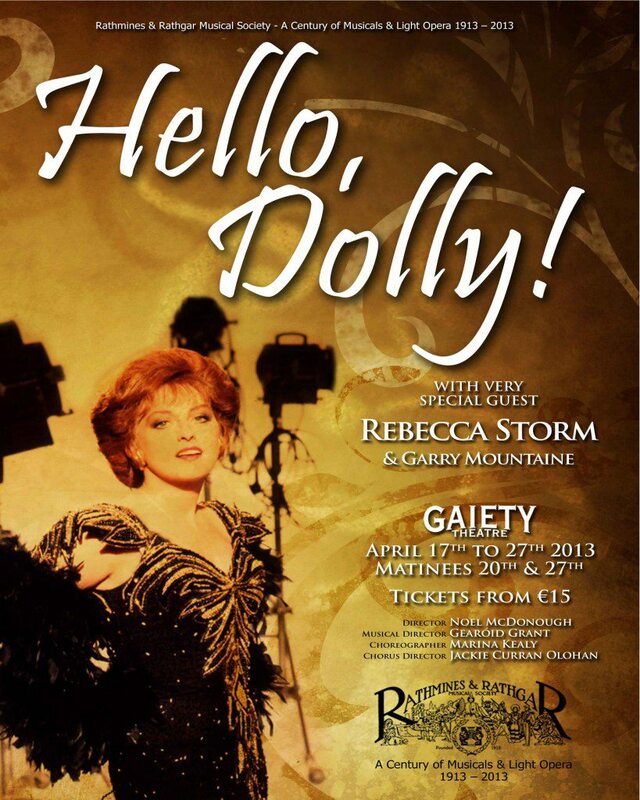 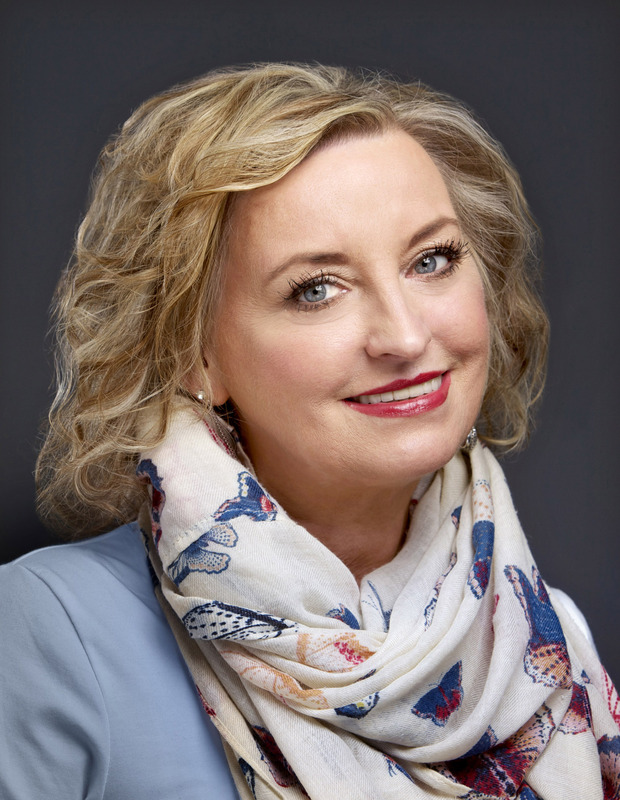 After many years in Londons’ West End theatre world, Rebecca has now made Ireland her home and is more than thrilled with the honour of having her handprints set on the famous ‘Gaiety Theatre Walk Of Fame’.